Among the many ways to earn money online, one of the most popular is earning on computer resources. In this method, cryptocurrency mining is the leading activity. Due to the instability of cryptocurrency rates, and taking into account the expensive hardware devices and electricity costs, the profitability of mining largely depends on the miner’s efficiency levels: constantly monitoring markets, switching between different cryptocurrencies, etc. The income received in this way is incomparably less than if, for example, the same computing power was bought out and used by a computer graphics rendering company to realize a project. Sonm offers owners of computing power a completely new and more efficient way to make money. Sonm allows you to earn from the implementation of real computing tasks from customers: launch tasks for rendering, machine learning, various network services, and the like. 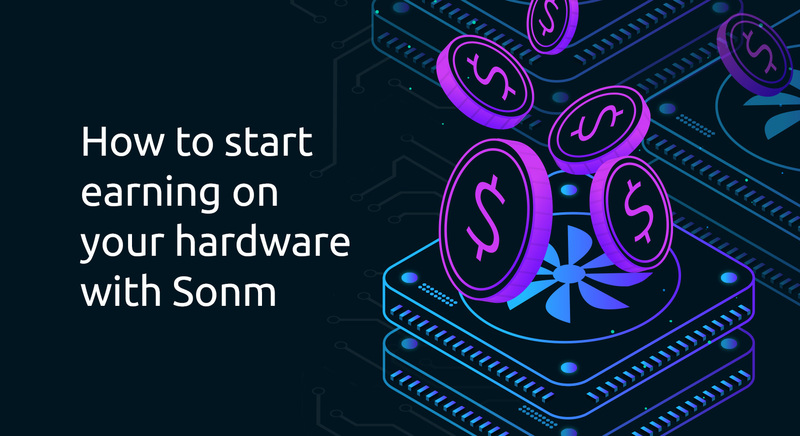 In the absence of real tasks, hardware can be used for mining, as there are always customers looking to perform such tasks on the Sonm marketplace. The connection of the supplier’s hardware to the Sonm platform can now be done easily using Sonm OS. Suppliers can currently evaluate the profitability of connecting their resources to Sonm using the profitability calculator. How can you earn on your hardware in Sonm? Sonm helps owners of hardware deliver their resources and provide computing power to the world. 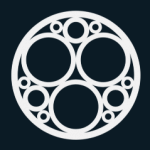 Sonm provides a decentralized Sonm marketplace of resources and a platform for performing calculations, the Sonm Platform – a set of components that allow the customers of computing resources to run their own tasks on the leased equipment. Sonm OS is designed for the suppliers of computing power and provides instructions for installing the Sonm Platform. 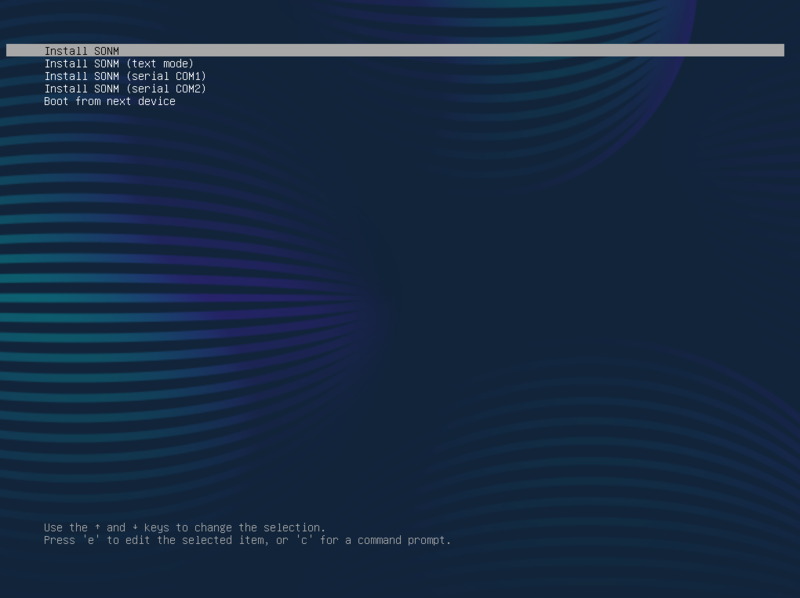 At the heart of Sonm OS is one of the most stable and common Linux distributions – Ubuntu. The installation process installs all necessary software, including hardware drivers, Docker (an isolated environment for performing computational tasks), and Sonm Platform components. Installation is performed fully automatically and does not require any special skills from the user. Suppliers deploy Sonm OS on their PC, which allows them to run any Linux-based applications, including mining applications, using Docker. After deployment, Sonm OS automatically analyzes the computer’s resources and calculates benchmarks for the further rental of computing power at the best price. Customers of computing power on the Sonm marketplace are miners of various cryptocurrencies, as well as users with real computing tasks: CGI rendering, machine learning, scientific computations, CDN, etc. Their buy orders are in constant competition. As soon as a more profitable task appears for a certain configuration of resources, resources with the required configuration automatically switch to this deal. The Sonm OS component for auto-selling resources, Optimus, is responsible for this procedure. Although there are no real computational tasks, resources are redeemed by customers-miners who use Sonm to mine the most profitable cryptocurrencies. Thus, the minimum income of the resource supplier on Sonm always corresponds to the income from the most profitable mining at the moment. In addition, almost all algorithms use only a part of the computer’s resources, mainly the GPU. At the same time, the open market of resources, the Sonm marketplace, and the Sonm Platform component for the auto-selling of resources, Optimus, guarantee suppliers an automatic choice of the most profitable combination of bids from customers. This raises the income of suppliers compared to ordinary mining. Profitability in Sonm is higher. The minimum income of the resource supplier in Sonm always corresponds to the income of the most profitable mining at the moment. The presence in the market of customers with real tasks significantly increases profitability. Perform real-world tasks, not just mining. In Sonm, your hardware can be used to solve valuable practical tasks. There are no idle resources; all resources are loaded with tasks. In the absence of real computing tasks on the Sonm marketplace, there are always miners who are ready to buy back all the freed-up resources. It involves not only the GPU but also other resources. As many of your computing resources as possible – GPU, CPU, RAM, free disk space, network bandwidth – are redeemed for various tasks on the Sonm marketplace. No need to manually switch between coins. If you’re a miner, the Sonm marketplace will automatically offer you a price for resources corresponding to the most profitable mining, and you get to earn income in SNM tokens. Quick and easy deployment. Deploying Sonm on a worker machine takes only a few minutes using Sonm OS. To help you estimate your income on Sonm, we created an online service called the profitability calculator. The calculator shows the maximum income of a supplier in USD based on the parameters of his or her resources and the current buy requests on the Sonm marketplace. To compare your profitability on Sonm and the current profitability from mining for your hardware configurations, you can use one of many online services, such as Whattomine. Payments are made in Sonm tokens (SNM). Suppliers receive income to their Ethereum accounts at the current SNM\USD rate on Coinmarketcap. Earned tokens can be exchanged on a cryptocurrency exchange. Sonm OS is installed using a USB storage device. The process is highly automated and requires minimal user involvement (see the full instructions here). Generate an Ethereum address on the Sonm Market (see guide). To start selling resources on Sonm, you need to have an Ethereum address (we call it the “Master address”), to which all income will be transferred. Download the installation image. We have prepared an HDD raw image for USB flash drives. Create a bootable USB flash drive. You can use Etcher utility, for example. Specify your master address. Specify the master address in the sonm.txt file located in the root of the prepared USB flash drive. Connect the bootable USB stick to your PC and run the installation process. Please note that at the moment Sonm OS installation uses all your disk space, so you cannot use it in dual-boot mode. All data on your HDD/SDD drive will be erased. Therefore, please make backups for any sensitive data. Confirm that you allow Sonm to wipe your SDD/HDD drive and erase all data by typing ‘YES’. The installation process will begin. Set up initial parameters: username and password; host name; Wi-Fi preferences (if your PC has a wireless connection). When the initial OS setup has finished, eject the bootable USB device and reboot the PC. Upon the first boot, the Sonm platform installation script will be executed. You will be asked for your password you set at the point 2.b. At the end of the installation, you should see the worker status screen. This means the installation has successfully finished. To start selling resources, you must confirm your freshly installed worker address in the Sonm Market (Market -> Workers). After you confirm your worker address, the Sonm platform will automatically begin to search for suitable orders for rental after evaluating the composition of your devices (CPU, GPU, RAM, storage, network) and performance testing (calculating benchmarks). Your worker status will change (this may take several minutes). You will then see the updated worker status screen. Suppliers may view their deals in the Sonm Market (Market -> Deals). Tracking the workload and income of the worker is also possible from the worker status dashboard. To use the money you earn on Sonm, you need to perform the operation “withdraw” from the sidechain Sonm to the real Ethereum network using the Sonm Market: Market -> Withdraw. For the operation, an insignificant, fixed commission is charged (at the time of writing it is 3 SNM, but the amount may fluctuate with the increase in the cost of transactions on the Ethereum network). After that, the tokens will be sent to your address in the Ethereum network. Remember that to transfer tokens within the Ethereum network (to send them, for example, to the address of the exchange), a small amount of Ether is required to cover the transaction fee. The Sonm team provides its users with 24/7 technical support for launching and setting up computing resources, using Sonm components, executing tasks, and more. You can contact our support services through our official website.